So far admin has created 299 blog entries. Vitamin B12 (or Cobalamin) is a crucial B vitamin. It is needed for nerve tissue, health, brain function and the production of red blood cells. It is a coenzyme that plays a large role in our metabolism and the functioning of the immune and nervous systems. Vitamin B-12 is naturally available in meats and in small amounts from various plant foods and different types of seaweed. So, for individuals who do not eat meat, obtaining vitamin B12 in bioavailable supplement form is key. However, not all B12 is created equal. Many over the counter B12 supplements come in a form that needs to be converted to the active form in order to be utilized by the body. This is particularly important as some people do not have the necessary enzymes to convert to these forms of B12 (along with other B vitamins), making the supplements useless for that individual. While taking B12 in capsule form is good, it still requires your body to convert its form in order to reap its many benefits. Sublingual forms of B12 are an even better way to take it as the mucosal lining under your tongue and in your mouth has small capillaries that will absorb more of the nutrient, carrying it into the blood stream. 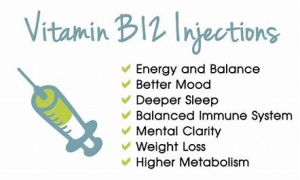 An B12 injection (shot) is one of the best ways to ensure that you will obtain more of this essential nutrient. At The Wellness Center, we only use the most bioavailable form of B12 in our intramuscular injections. This ensures our clients get the most out of the vitamin. If you are interested in getting a B12 shot please call The Wellness Center at 303-357-9355 to schedule an appointment, sometimes we can accommodate walk-ins. does not lend itself to us being “happy” all of the time. The human experience is filled with ups and downs, sadness and joy, fullness and voids. I remember in my early twenties I went on a youth trip to Taiwan for a month. It was an intense month of constantly being surrounded by new people, but we instantly connected and became fast friends. It was a jam packed month filled with lots of fun and partying. After that intense month, it was time to go our separate ways. I remember feeling intensely lonely after a month of being surrounded by people. It was such a stark contrast in experiences. Recently, I have been experiencing the same feeling. For the past 3 months I have immersed myself on the leadership team for the Womxn’s March Denver. In less than 3 months we were tasked with having to fundraise over $35k to put on a large scale march, we had to create a database of supporters, marketing and PR plan for communications, a website, fundraising events, a dynamic lineup of artists and speakers and a team of 100 plus volunteers to help us put on the march. It was an intense 3 months, right in the middle of the holiday season. Since it was an intense time, emotions would flare from our leadership team when there were inevitably things that we did not fundamentally agree on. We made it to game day which was Saturday, January 19th and the event was very well put together, the program was inspirational and thoughtful, the march itself uplifted everyone and when it was all said and done we raised over $40k! There was so much to celebrate, but for me, it feels like there is a weird void in my life now. When you are so busy for months working on a project, now that it is over it feels uncomfortable to slow down and get back to “normal” life. Being human is all about ups and downs. We all experience highs and lows, life living on this planet is not easy. Our brains are constantly comparing ourselves to others, constantly worried about something or other, and in general we can easily fall prey to “wanting” to feel happy all the time. 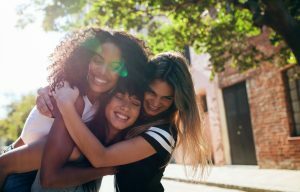 When we don’t we feel like something is wrong with us, so then we fill our days with busyness, shopping, eating, drinking, partying, whatever drama we feel like we need to stir up, we distract ourselves from feeling the void or the loneness, when in reality this is all part of the human experience. Rather than strive for happiness, I would instead focus on feeling at peace with the moments and experiences that you have on daily basis, find peace and contentment in the day to day mundane tasks of life. Happiness comes and goes, but inner peace will carry you through each day. This time of the year is always about new beginnings! 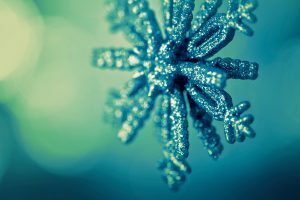 It is a wonderful time to reflect on the past year and to look forward into the New Year. I find that being human can be very challenging, and sometimes it is easier to just put your head down, follow the rules and not take any risks. 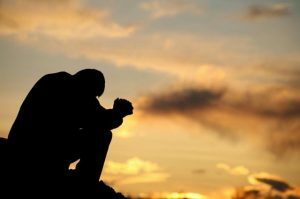 While this works during certain points of our lives, living this way over many years, even decades can invoke a life that is dull and uninspiring. We as humans are creative beings, and periodically changing things up is healthy and keeps the energy following. Recently, one of our practitioners took the leap and moved to Hawaii. Everything seemed to fall into place, she got a great job and it was in the perfect location. She took the leap and moved! This is no small task, packing and moving away is a HUGE change and takes A LOT of courage and work. I was so happy and proud of her for taking the leap. This is just what she needed in the moment. 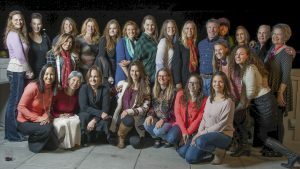 After living in Hawaii for 3 months, it became clear that this was not the right path or place for her and with some deep introspection; she decided to move back to Denver. Some many say, oh what a waste of time, energy and money. I say what AN amazing change and experience she had! She personally grew by leaps and bounds, and learned how to trust her own guidance system and make decisions that were right for her. Now she is back in Denver, grateful, energized and no longer craving for another life in Hawaii. 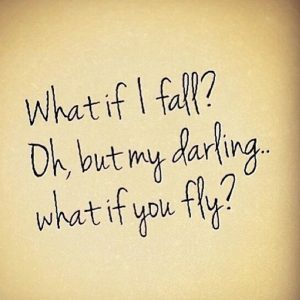 She took a leap and life rewarded her, in a very unexpected way. I hope 2019 brings to you much joy, peace and good health! Keep it simple this holiday season! As we move into the holidays; generally a stressful time of the year. I am reminded of a documentary that I saw years ago, called Money and Life. It discusses the dangers of attaching too much of our lives and worth to a dollar figure. Over the years, money has lost its roots… it was created as a spiritual exchange of energy between people. Today, money feels more like something that controls our lives and divides us. Money today, causes a feeling of division and lack. The holidays feed into this feeling, causing us to spend money on things we don’t need and on presents that are forgotten within a month. Many times people will go into debt to fill this expectation of spending over the holidays. What can you do? How can you buck traditional consumer culture? The first thing is to start from within. Start by shifting your inner paradigm around money and spending. Trade spending and consuming for more time to think and relax. Purchase things that are built to last, so many products today, break down within 1-2 years of purchase. This is what we call planned obsolescence, where products are literally designed to break within a certain time frame so you have to buy it new again. I recently, flew on Southwest airlines and they had an article in their magazine about buying products only once, and buying things that are built to last. The idea of buying something that is build to last is good for you and the planet. There is a website, called buymeonce that recommends products and companies that build their products to last, check them out here. Tap into your creative side and make something this year, a photo book, knit a hat or scarf, make jewelry, make a mix of your favorite music, bake cookies. Shop at a local small business to keep the money in the local economy. Donate to your gift recipient’s favorite not for profit. 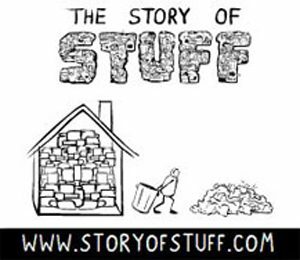 If you have never heard of the Story of Stuff project, watch their awesome YouTube video here! Wishing you and your family a very peaceful and happy Holiday! I have a confession, I am closet Cupper! I think this seems weird to say this, but I love getting cupped. What is cupping you ask, and why do I love it so much? Cupping is a treatment that creates a partial vacuum on the skin using glass or plastic suction cups. You usually will feel a tight sensation in the area of the cup. Depending on your comfort the cups may be moved around or left in place. They may remain on your body briefly or for longer amounts of time. Each treatment is unique depending upon what is going on with you that day. The most common area that is cupped is the back, but the cups work well on other areas. The suction that is created by the cups increases blood and energy flow to the area, and relieves tension and tightness. The increase of circulation facilitates localized healing. Cupping relieves pain by opening up the meridians, or energy channels, of the body and improving energy flow to every organ and tissue of the body. For me personally, when life gets stressful and intense (which is often), my whole body tightens, especially my shoulders and neck. Even my head feels tight, almost like I am on the verge of getting a headache. Cupping seems to provide instant relief and similar to a therapeutic massage I feel my whole body release and the tightness melts away. I find getting cupping on a regular basis, especially if I have a lot on my plate, releases my tension and allows me to continue to keep living life at a high level. Cupping has numerous benefits — it can help remove toxins from the body and stimulate the flow of fresh blood, lymph, and stagnant energy throughout the body. It often works wonders for patients with the flu, colds, coughs, back and muscle pain, poor circulation, anxiety, allergies, fevers, aches and myriad other pains. I will warn you that cupping will leave bruises, but they are temporary. The bruising typically goes away within 3-5 days. In addition, the session can be relaxing, but at times the cups can feel uncomfortable as they are moved around the skin. BUT, that means the cups are doing their job, the more tense you are, the more intense the cupping can be, if you are new to cupping the therapist with typically ease you in. Some of our massage therapists can add cupping to your massage session. I personally, love seeing our Acupuncturists. They incorporate cupping, acupuncture and bodywork all in one session, but I am also a huge fan of Acupuncture, I find it to be extremely effective for me on many levels. In addition to regular cupping, there is also fire cupping and blood cupping. I have not tried either of these, so I cannot personally speak to their benefits. If you are like me, and feel like your body gets tight during times of stress, I would high recommend you give cupping a try. I was having lunch with a friend and we got on the topic of times in our lives where we have to let go and surrender to what is. Trying to control something out of our control only stresses ourselves out and doesn’t help the situation or our stress levels. 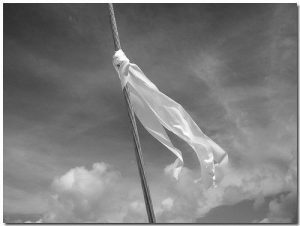 There are many times in my life that I have surrendered, now don’t get me wrong surrendering is an art form and must be used at the right time. Some people can use it as an excuse for giving up on something. I don’t want surrender to be misconstrued with giving up. There are certain things that we can control in our lives. We can try to make good choices, with what we eat, how we treat our bodies, how we spend our free time, which people we choose to spend our time with, and lifestyle choices that support us or sabotage us in our daily lives. Life is certainly tricky and unique to each and every one of us. There are many things in our lives that are out of our control; how we grew up, our parents and family we were born into, and hard times that we face in our lives, racism, sexism and classism. 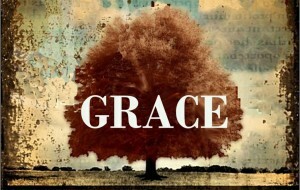 Deciding when to surrender can be a powerful tool to use in your life, to help get you through the really tough times. I made the very difficult decision to file personal bankruptcy back in 2008, once I made the decision, I surrendered the decision to the Trustee who oversaw my case. I could have lost The Wellness Center and my home, but amazingly I walked away with both intact, and created a payment plan for my debt and paid it off within a few years. When I served as a Peace Corps volunteer in Nepal, after a year into my service I went into a deep depression. I was crying every day, I couldn’t get out of bed and was obsessed with food and calories. I was sent to the Capital of Nepal, Kathmandu for a psychological evaluation. After seeing a few counselors, the medical nurse, Debbie that was in charge of my case, with certainly said, “pack your bags you are going to be transferred to Washington D.C. for evaluation.” In peace corps terms I was going to be “Pysch Vaced” Yes, it is as bad as it sounds a psychiatric evacuation, for a Peace Corps volunteer it is equivalent to getting discharged from the military service. It feels like you are a failure and it is something to be ashamed about. This was another time I had to surrender. To make matters worse, my whole family was planning on visiting me in just 10 days and I would be in Washington D.C., instead of Nepal! The timing couldn’t have been worse. I surrendered and accepted that I was going to be sent home, and most likely would never be back to Nepal. The amazing thing that happened, was the Medical Nurse’s request for a medical evaluation was denied! She said in the 10 plus years she had worked with the Peace Corps she had never been denied a medical evacuation request. It was very humbling. While I am not religious, I do believe there are angels that are above looking over me. I suppose part of surrendering, is surrendering to things that are beyond our human control, and instead surrendering to a higher spirit or power. All we can do is our best in our day to day lives. To show up for ourselves and for those we care about and love. We will make mistakes (lots of mistakes), take time to reflect on those mistakes and in turn make better decisions for the future. Without reflection, we continue to do the same thing over and over and expect different results. This truly is the definition of insanity. Work hard, be thoughtful and conscious in your decisions, be disciplined (there are too many temptations in our society, learn to say no and your life will transform) and at the right times… surrender. When you make mistakes, don’t berate yourself, give yourself limitless self-love and compassion, recognize you are human and move forward. Last Minute Massage Text Club Update! We wanted to let you know that effective August 15th, 2018 our regular rates for a hour massage will move from $99 to $109. As a participant in our “Last Minute Text program”, you will still receive $30 off of our regular massage rates. Reminder that this program cannot be combined with any other discounts. For massage members on this program, you will still get an additional $5 off member rates, which August 15th, 2018 will move from $69 to $79. Your cell number will not be sold or used for any marketing practices and you may cancel anytime by texting STOP to 77948. If you would like to read more on The Wellness Center price increase please click here. Since our inception, the massage industry has changed tremendously! A decade ago when we posted an opening for a massage therapist, we would receive over 20 resumes from strong candidates. Unfortunately, today, we generally get a handful of resumes and many do not have the experience or quality of touch necessary to work at The Wellness Center. This is certainly a big indicator of how the industry has changed over the years and how important it is for us to retain our highly skilled therapists and ensure their longevity in the industry. I am proud that we have created a safe, thriving and desirable place for therapists to practice. Over half of our therapists have been with us for 3 or more years and about a quarter of them have been with us 6+ years! This is a huge feat in the massage industry, where typically the burnout rate is high and the average massage therapist only lasts a couple of years in the business. The physical and emotional demands on a therapist are strenuous, therefore, the proper equipment, training and down-time is a must! We understand this and have created an environment that honors these needs. Where does this all lead? We know that you value high-quality massages and your patronage demonstrates your awareness that a great therapist in a great setting means all the difference to your health and healing journey. This focus, coupled with the increasing costs of doing business, means our massage prices need to change. Effective, August 15th, 2018 prices will be increasing. Our regular rate for a 60 minute massage (which has always and will always be a full 60 minutes of hands on bodywork) will become $109. Pricing changes are never fun, but I can confidently say that we are still the “best” deal in town for the caliber of therapeutic massage we offer and for the amount hands-on time during each session. If you have any questions or concerns about this change, please don’t hesitate to reach out to our management team: myself, Kris Wood, Director or Yosevine Heintz, Assistant Director. Thank you for your support and we look forward to seeing you soon! Today I was in yoga class and my teacher brought up living a life without excess, without extremes. To bask and embrace the mundane, steadiness of everyday life. As humans we sometimes feel like we have to always be moving and always striving. There is a lot to just “being” in the world, there is profound healing in being “seen” in the world by someone else. True self-care is the exact opposite. Self-care is about creating a life that nurtures and feeds your soul. To love and accept exactly who you are in the moment, and in many ways to enjoy being normal and ordinary. 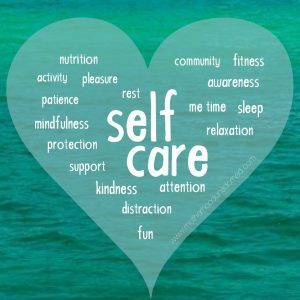 Self-care is not about “fixing” yourself it is about supporting your life and living with intention. If you are up to your ears in credit card debt, getting massages, going to expensive yoga classes, and eating out might seem like the right thing to do for yourself… but if you can’t afford it, then you are actually self-sabotaging yourself. The biggest gift we can give ourselves in this fast paced world, is time! One of the best self-care gifts you can give yourself is the gift of time. How can you create more downtime and margin in your life? Rather than watch TV, can you choose to go for a walk instead? Rather than be on social media, can you call a friend you haven’t spoken to in awhile? Rather than go on a shopping spree, take a nice hot bath and read a good book. Making wise choices is at the root of true self-care and it requires intentional effort and discipline, but the benefits are infinite. Here’s to being “true” to your self-care journey. I have owned The Wellness Center for over 17 years, I will say that the day to day running of the business is 10 times easier today than it was 10 years ago. I work less hours, I have more confidence in my management/leadership abilities, and I have amazing team of employees and practitioners that have been with me through thick and thin. Longevity and trust are paramount to any successful endeavor, because they contribute to the cultural fabric of the organization. 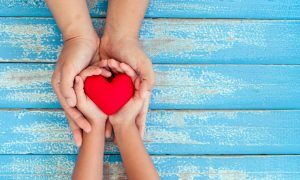 The greatest lesson I have learned over the years, is that even though the “bottom” line is important in any business, being compassionate and kind is even more important. This can be difficult for service businesses. When a practitioner is sick or injured, it affects the “bottom” line, but at the end of the day if you show that practitioner compassion and kindness, especially when they are at their weakest, they generally will be loyal to you over the long haul. Putting human needs over business needs is not intuitive to American capitalism and corporate ideology, where money and materialism rule. I have personally found that being kind and compassionate is one of the best ways to run a business and a good way to “be” in the world. To see everyone’s humanness, helps me to have even more empathy not only in those around me, but also in myself.